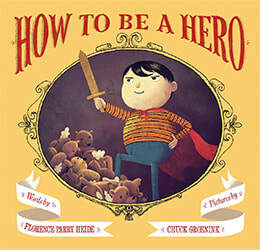 "An eye-catching picture book with an intrepid little hero." 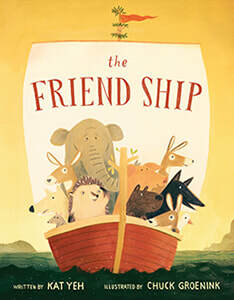 Rufus the Writer, by Elizabeth Bram. Under a Pig Tree: A History of the Noble Fruit, by Margie Palatini. 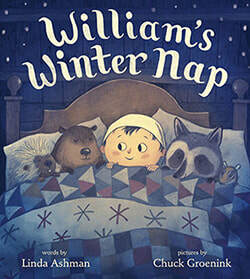 "Groenink’s (Santa Clauses) witty, accomplished artwork vaults the book into the memorable category. With easy grace, he parodies Greek vases, Chinese porcelain, and medieval Books of Hours, while adding plenty of pig sass of his own. It’s a prime choice for foodie families." 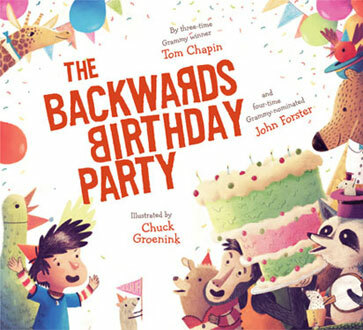 The Backwards Birthday Party, by Tom Chapin & John Forster. 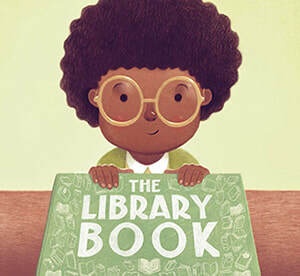 ''The mixed-media illustrations hum with energy, movement, and color, capturing the spirit of this anything-goes celebration." You can order a copy at Powell's Bookstore. 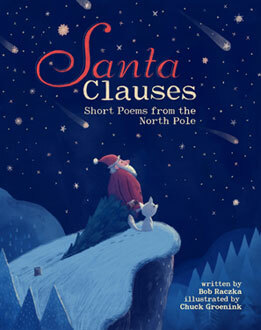 Santa Clauses: Short Poems from the North Pole, by Bob Raczka. 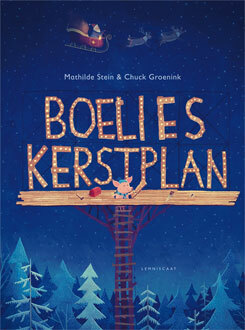 Boelie's Kerstplan, by Mathilde Stein. 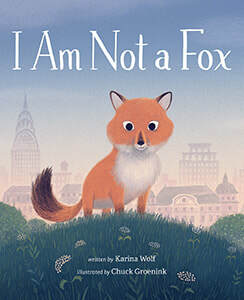 Available in Dutch, French, German, and Danish. Dear Daisy Dunnington, by Mathilde Stein. 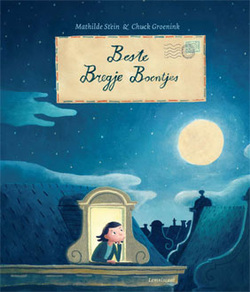 Available in English and Dutch (as Beste Bregje Boentjes). "Each of the letters is fulsomely illustrated with rich detail and rubbery figures; Mel Glitzstein’s invitation for Daisy to star in Wrath of the Mummy waggishly depicts an Indiana Jones–type escape with a Peter Jackson/Martin Scorsese–ish director calling the shots."